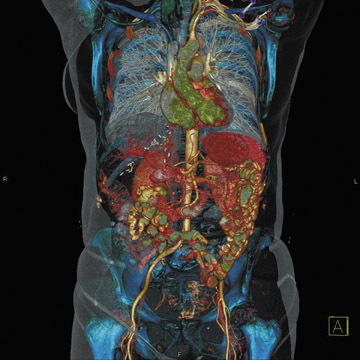 Like other areas of medical imaging, cardiovascular imaging is extremely data intensive. To manage these large data sets, many healthcare institutions use picture archiving and communications systems (PACS), but cardiology PACS and radiology PACS are often separate systems with different information storage and user interfaces. Integrating these systems can lead to a more efficient workflow and improved access to images and data. "The challenge is to make cardiology part of the PACS," said Rasu B. Shrestha, MD, Informatics Director and Assistant Professor of Research Radiology at the University of Southern California (USC), Los Angeles, CA. "We were getting to a point at which the management of cardiology and radiology images were becoming two separate things. In my opinion, this was not good for patient care. I think it is critical for the two to merge and leverage their synergies for improved patient care." FUJIFILM Medical Systems USA, Inc. (Stamford, CT) hopes to accomplish this integration with its recent acquisition of the cardiology PACS vendor, Problem Solving Concepts, Inc. (ProSolv, Indianapolis, IN). The company, which will now be known as ProSolv CardioVascular, a FUJIFILM company, developed and markets the ProSolv CardioVascular Enterprise PACS solution. ProSolv CardioVascular is a multimodality, nonproprietary imaging and reporting solution that includes the ProSolv image format, database, and interfaces for a hospital information system, billing, and scheduling. The system can be connected to all current cardiology imaging systems (eg, echocardiography, electrocardiography, vascular imaging, nuclear imaging, and catheterization and vascular laboratories) across multiple hardware vendors (Figure 1). "ProSolv CardioVascular is a full cardiovascular information system for the management of all data from all cardiology modalities that also provides fully integrated report generation and distribution," said Bob Cooke, Vice President, Network Business Management, FUJIFILM. Throughout ProSolv's history, Harvey Feigenbaum, MD, Distinguished Professor of Medicine, Indiana University, Indianapolis, IN, who is often referred to as "the father of echocardiography," has served as a key advisor. The company has a collaborative product development re-lationship with Indiana University. According to Cooke, it was the similarity of the ProSolv architecture to FUJI's Synapse PACS that led to the acquisition and enabled rapid systems integration. "There were basically a few aspects that attracted us to ProSolv," he said. "First was the significant amount of cardiology experience and expertise of the employees, as well as a product architecture that is very similar to the Synapse design philosophy. Another attraction was that they had broad coverage of all cardiology modalities," Cooke continued, "and they had very high user-satisfaction ratings." Shrestha also noted that the integration of the systems influenced USC's decision to purchase ProSolv CardioVascular. "We have the Fuji Synapse PACS at the USC County Hospital and the Childrens Hospital of Los Angeles; and we are implementing it across our other hospitals: USC University Hospital and the Kenneth Norris Jr. Cancer Hospital. We have now implemented Synapse at our private imaging centers. We plan to have Fuji across the enterprise." "As we were installing Synapse, we were looking at cardiology PACS, and, almost coincidently, we were narrowing it down to ProSolv," continued Shrestha. "When Fuji announced the acquisition of ProSolv, it helped to seal the deal. During our analysis, we had seen the synergy between ProSolv and Synapse, since they are both Windows- and Web-based applications and are both user-friendly." "We are no longer looking at a stand-alone cardiology imaging application," said Shrestha, "but a cardiology imaging application with postprocessing capabilities that are inherently tied in with the PACS. We have one database to store all the studies, whether they come from stress echocardiography, cardiac cath-eterization, magnetic resonance imaging, or multislice computed tomography. We have the workstation capabilities of a traditional PACS (including the ability to window/level, zoom, pull in relevant prior studies, and have hanging protocols) and we have the cardiology postprocessing toolsets and reporting toolsets." 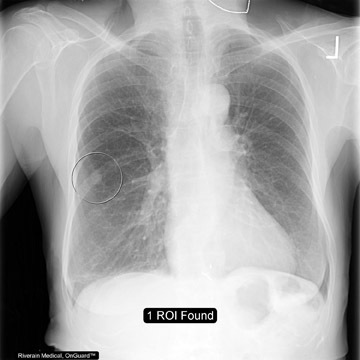 "As organizations move to a more horizontally integrated solution for enterprise imaging, there is clearly a need for Fuji to be able to manage both radiology and cardiology data and to provide seamless access to that data throughout the enterprise," said Cooke. "Our goal is to provide appropriate access to information integrated into clinicians' workflow. But information access is only one dimension. The other is offering that information in an application in a manner that is consistent with their workflow. For example, radiologists using a radiology PACS need access to cardiology data, but we don't want to take them out of their workflow to access that data. Data access should be consistent with the tools that clinicians are used to using. Similarly, cardiologists will need data stored on a radiology system, but they will also want to access that data as efficiently as possible." "A great example of the integration between these applications is that cardiologists can use familiar tools on the ProSolv CardioVascular application to access data stored on Synapse," continued Cooke, "just as Synapse users can access data stored on the ProSolv CardioVascular system with their tools." "Because the applications share an infrastructure," Cooke noted, "the enterprise-level implementation can share a common infrastructure, achieve an economy of scale, and provide a solution that is integrated well with the enterprise image management scheme." "One of the advantages was that we were able to leverage some of the IT investments we made," agreed Shrestha. "We have a great IT team here within our radiology department, and the plan is to have the ProSolv application piggyback on the Synapse. Now that we can launch ProSolv from Synapse or vice versa, it will be easier to tie in the backend portion of this as well. We're happy with the integration between radiology and cardiology," said Shrestha. "We believe we are leveraging the best from both sides, so it's a win-win situation." Fuji has recently announced the expansion of its radiology PACS system to cover tasks that were traditionally handled by radiology information systems through a strategy they call "Synapse Comprehension." "Essentially, Synapse Comprehension allows us to accomplish end-to-end clinical workflow inside the radiology clinical system," said Cooke. "We believe that there are opportunities for a similar approach in the cardiovascular arena, essentially moving beyond just cardiovascular 'images' to extended functionality, including information, scheduling, and ordering. We want users to have access to the full clinical record regardless of where the images and information are stored," he continued. "A patient who goes in for a cardiac examination is not separate from the rest of the studies that he has had," concluded Shrestha. "That is one of the main benefits that we will be gaining from this integration. We won't be treating a cardiology study, we'll be treating a whole patient." Technology and Industry: Integrating cardiology and radiology PACS. Appl Radiol.